Is bankruptcy in Brantford right for you? 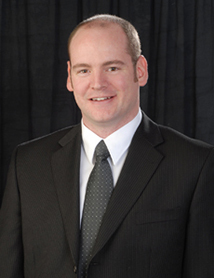 Brantford Licensed Insolvency Trustee, Howard Hayes, can help you find debt relief. Howard will meet with you personally to talk about your particular situation and discover which option will work best for you. He will explain not only bankruptcy but all of your debt relief options including filing a consumer proposal, a debt management plan or debt consolidation. If your debt is unmanageable, Howard can help. He understands that financial troubles can happen to anyone and for many reasons. He will provide respectful, confidential advise that fits your budget. Let Howard put his experience helping people in Brantford reduce their debt, to work for you. Debt problems won’t go away on their own. Let us help. We are only a phone call or email away. To book your free consultation call us at (519) 770-4440 or 310-PLAN — or fill out our contact form to email us. We are located on Brant Avenue, across from the Avenue Medical Centre. We share office space with the Investment Planning Counsel of Canada.